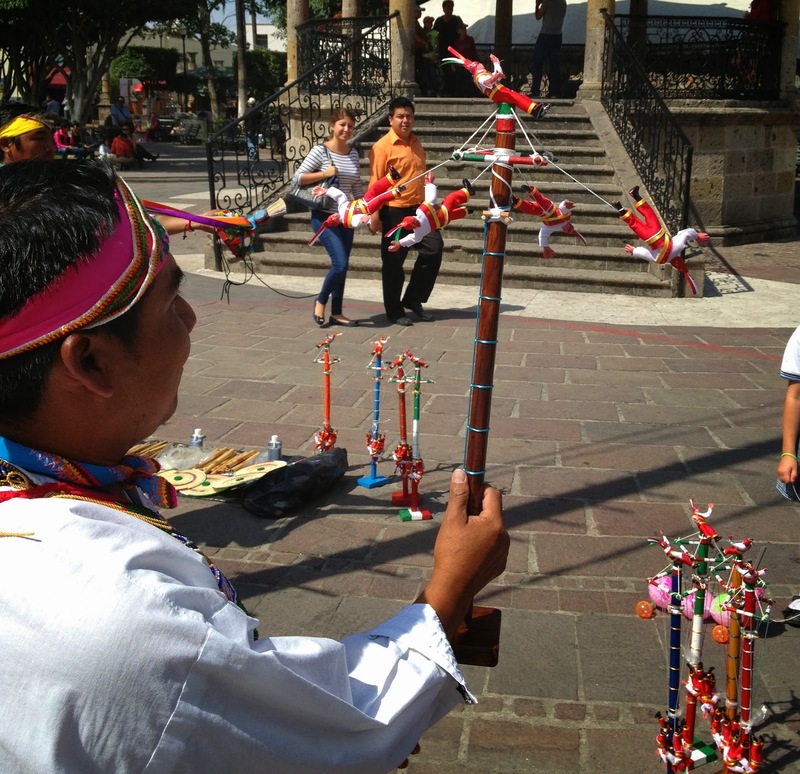 It is worth your while to spend a day familiarizing yourself with Guadalajara and Tlaquepaque. 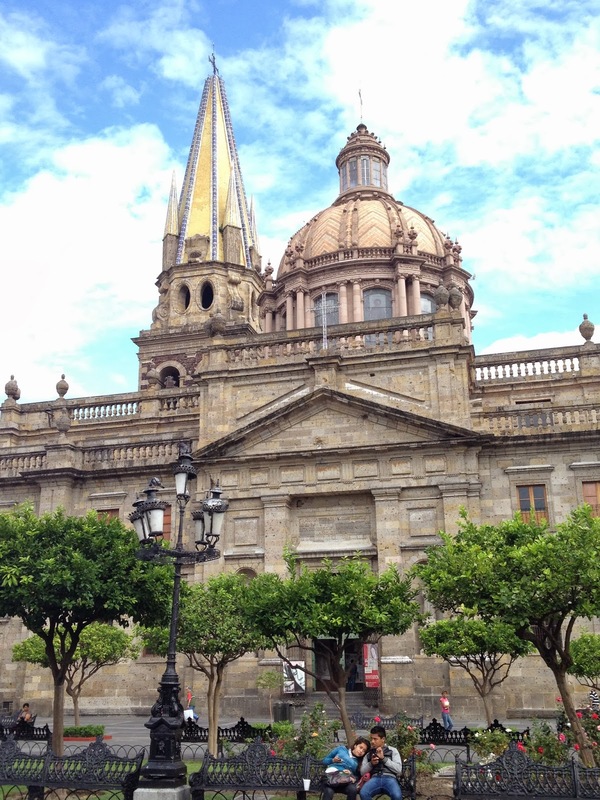 We took a city tour that started at the Cathedral of the Assumption of Our Lady, and walked nearby to the Government Palace, completed in 1790, that houses the state government offices of Jalisco. 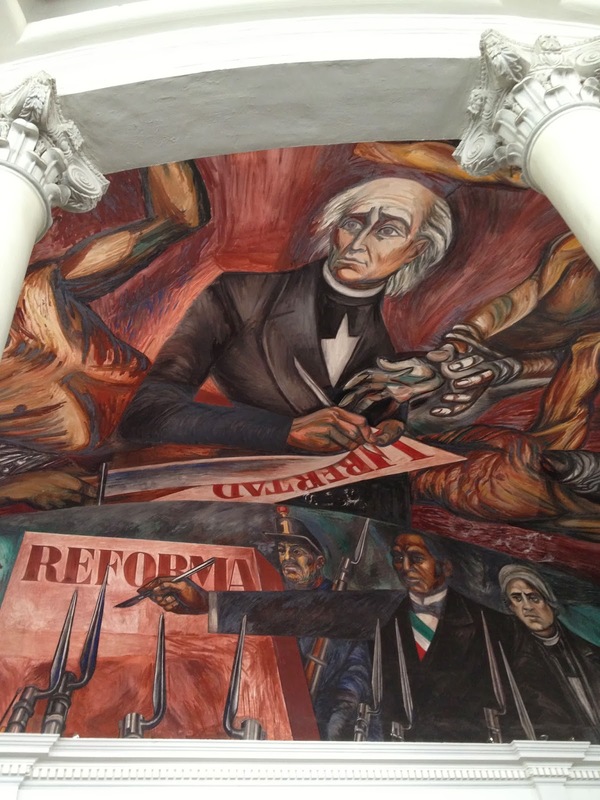 It is also where you will find, in the staircase and in the State Congress chamber, a few famous murals by Jose Clemente Orozco painted in 1935. Along with Diego Rivera, Orozco was a leader of the artist movement known as Mexican Muralism. During the mid-20th century, a large number of murals were commissioned to be painted in public areas as a way of promoting social and political ideas. 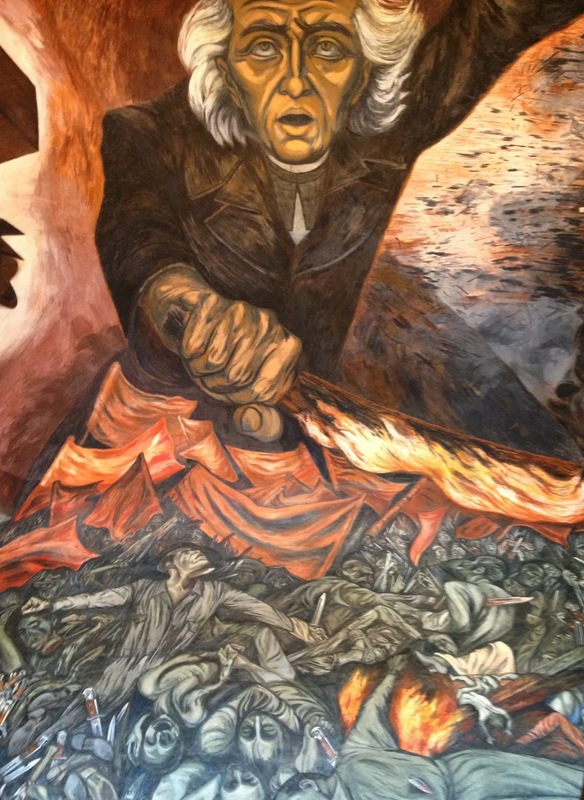 In the main staircase of the Government Palace, Orozco depicted Miguel Hidalgo, the father of Mexican Independence, brandishing a fiery torch at shadowy figures representing oppression and slavery. Many of Orozco’s murals were shaped by the brutality he experienced living in Mexico during the 10 years of political unrest brought on by the Mexican Revolution of 1910. The themes of human suffering and tragedy depicted in his murals are a powerful reminder of the social strife, not only in Mexico, but also throughout the world during the early 20th century. 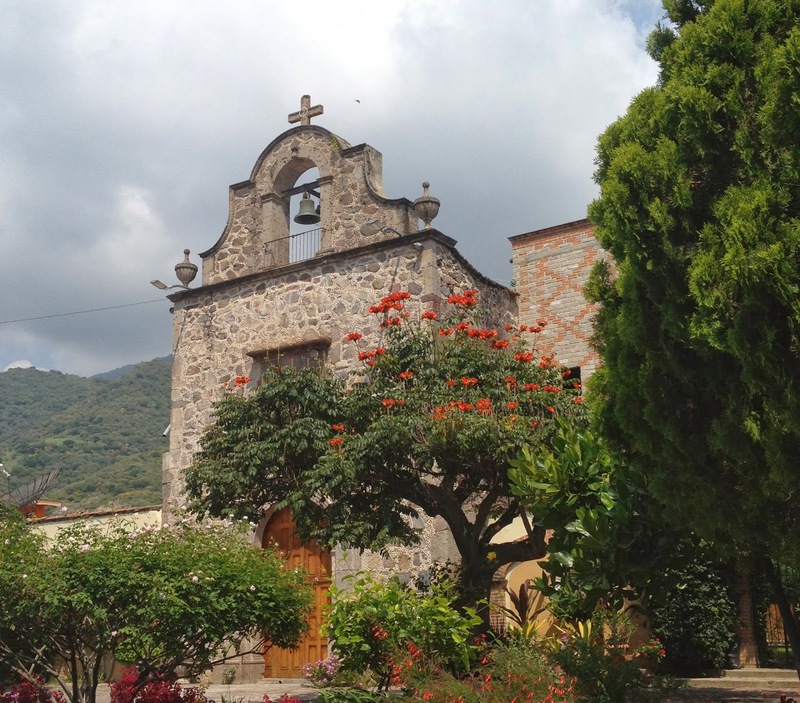 A short walk from the Government Palace is the Hospicio Cabañas. 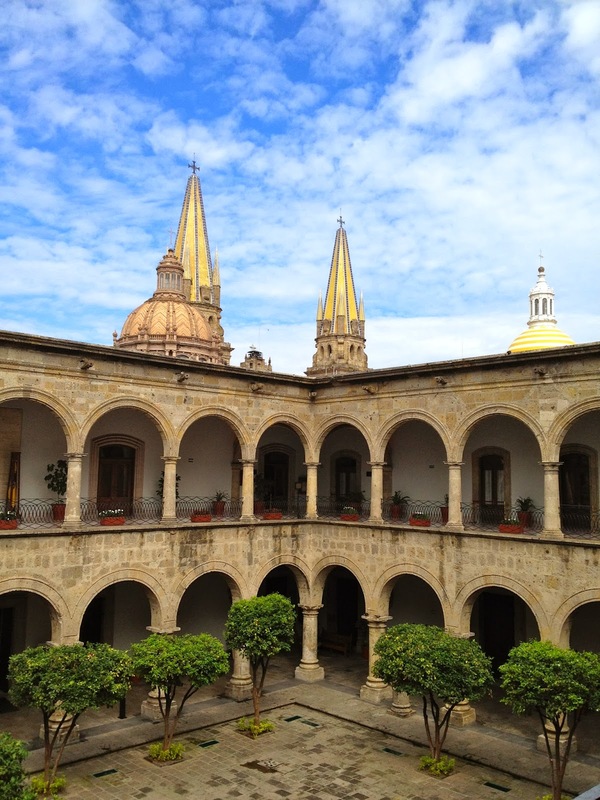 One of the oldest and largest hospital complexes in the Americas, the Hospicio is now occupied by art and crafts schools. In 1939, when it was still an operating hospital, Orozco was commissioned to cover the interior walls of the main church with a series of monumental frescoes. In the center, 200 feet above the floor, stands the Man of Fire, which some have dubbed the “Sistine Chapel of the Americas”. After having our fill of shadowy figures, human suffering and death, it was time to eat. 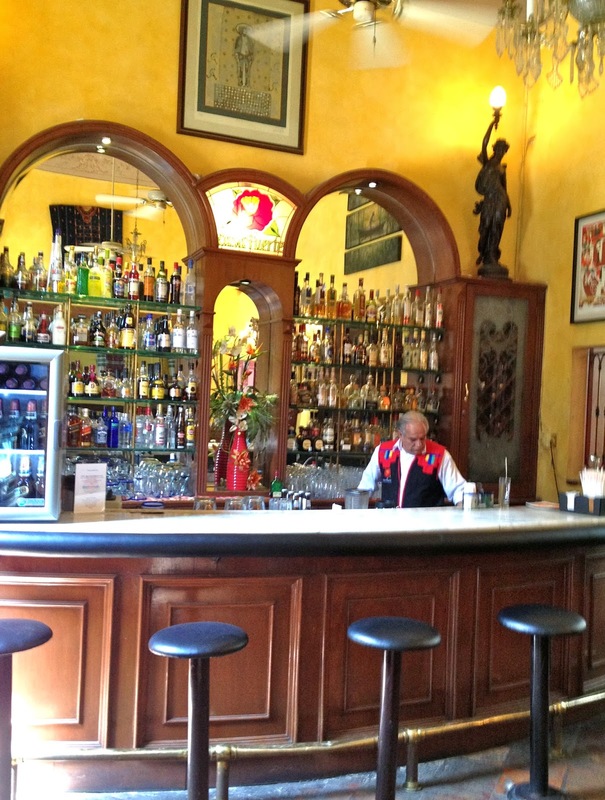 Our trusty tour guide, Hector, recommended Casa Fuerte in Tlaquepaque as the perfect spot for a margarita, and, not to be missed, the queso fundido. There couldn’t be a better way of capping off a day of studying figures writhing in agony, than scarfing down bowls of hot, melted cheese. 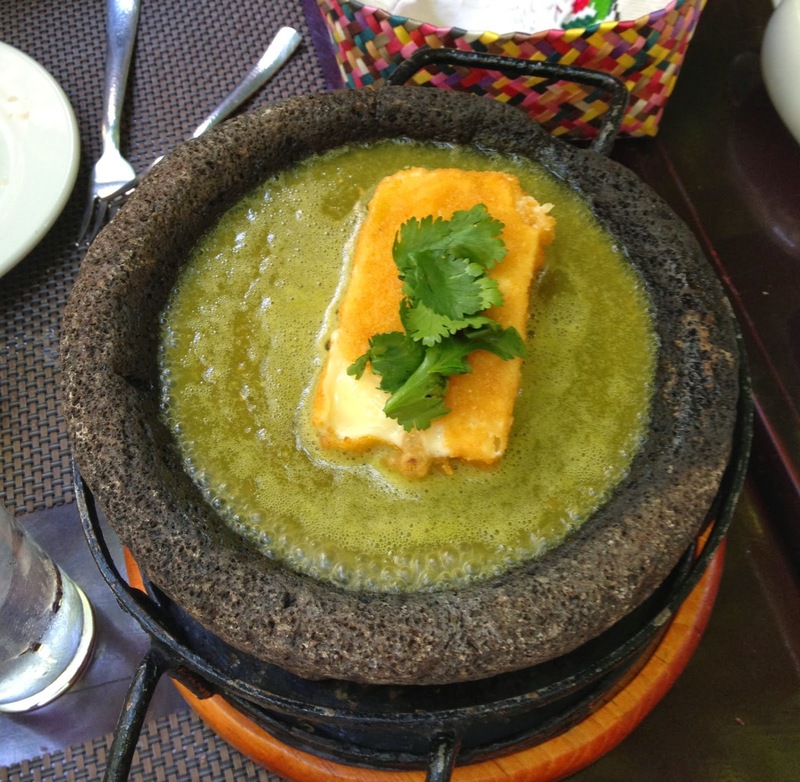 Labeled as a “cheese lover’s delight”, the queso fundido at Casa Fuerte is a block of Oaxacan cheese that has been breaded and fried, then served in tomatillo sauce in a pre-heated molcajete, a stone tool used for grinding that is made out of volcanic rock (absolutely brilliant…I have never seen this presentation before). The waiter cut the cheese up for us, and we swirled it around, watching it melt into gooey goodness. 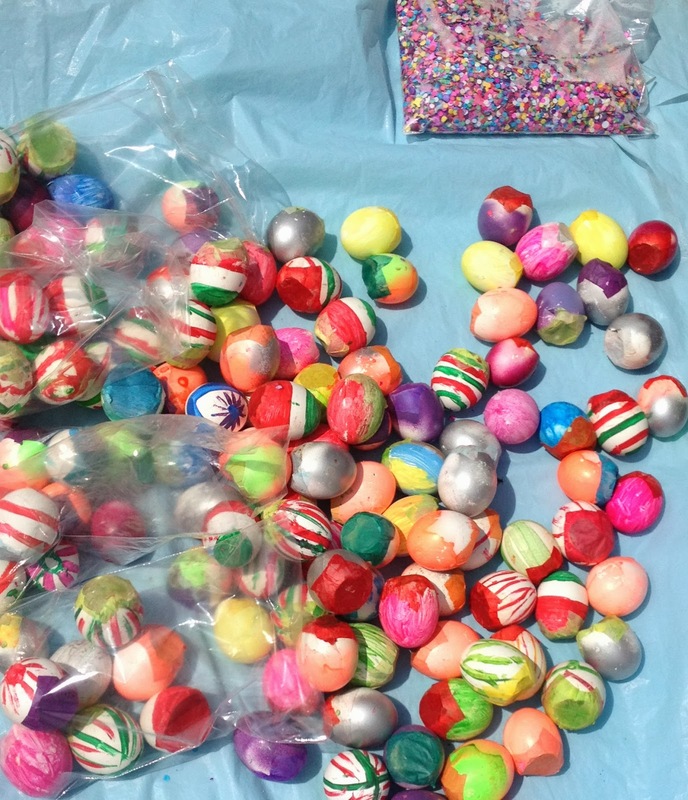 It did not last long, so the kids begged for another. 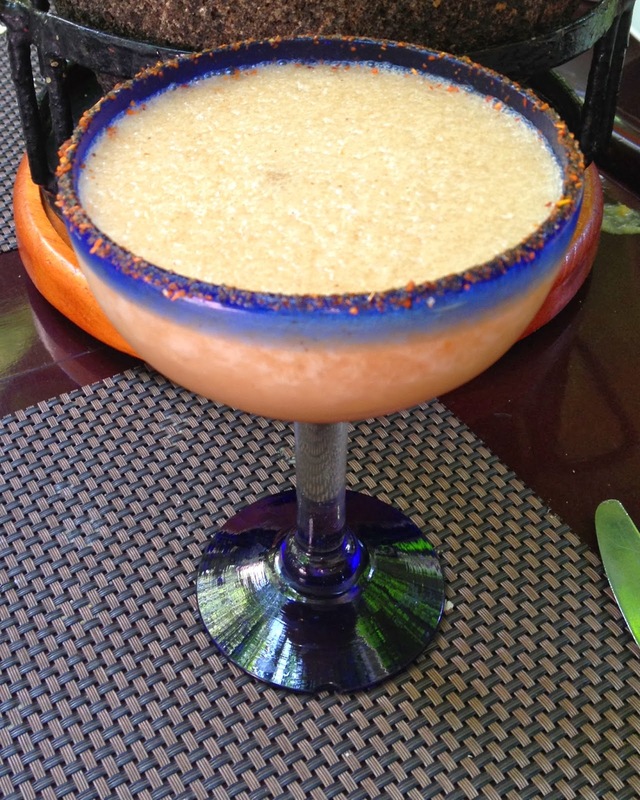 Of course, we obliged them, while being persuaded to try the house margarita, a tamarind margarita. These two were truly such stand outs, I would return to Casa Fuerte over and over again. For the plato fuerte, I ordered the shrimp in a hibiscus mole, and topped the meal off with one of my favorite desserts, cajeta (caramel) crèpes. 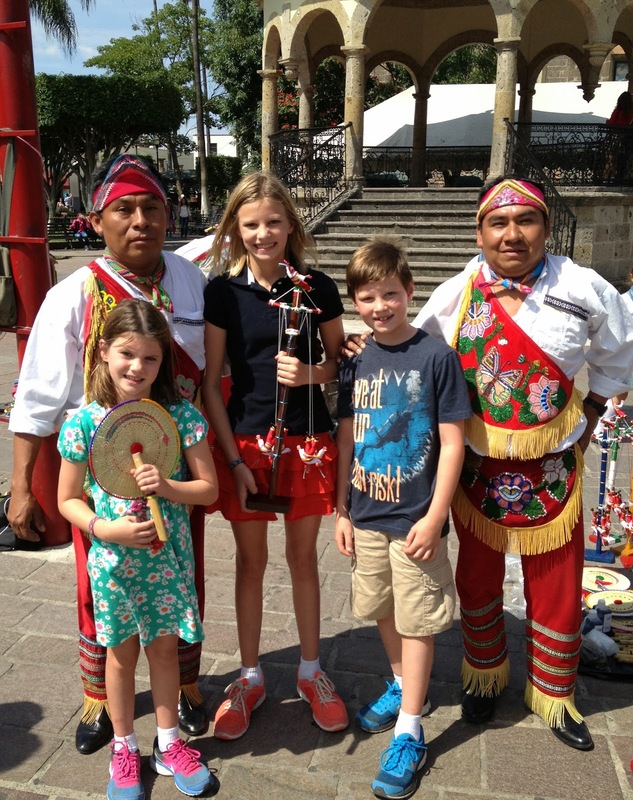 After rolling out of Casa Fuerte, it was time for a stroll through Tlaquepaque. 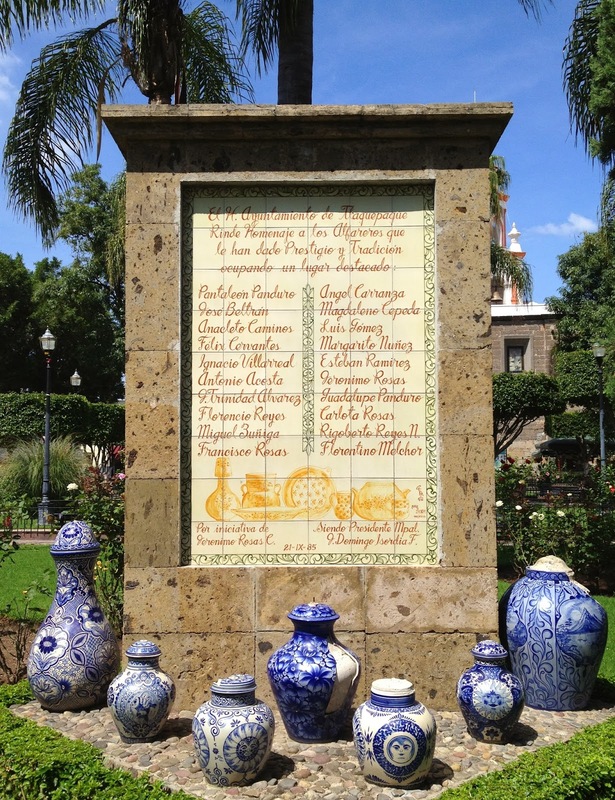 Tlaquepaque is a city that was absorbed by Guadalajara in the early 20th century. 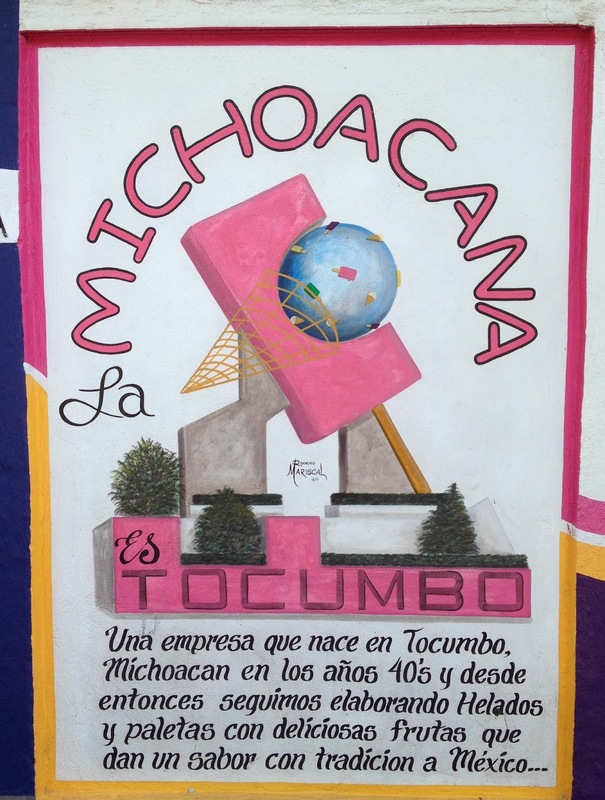 The name is derived from a Nahuatl word meaning “place above clay land”, and is known for its pottery and blown glass. 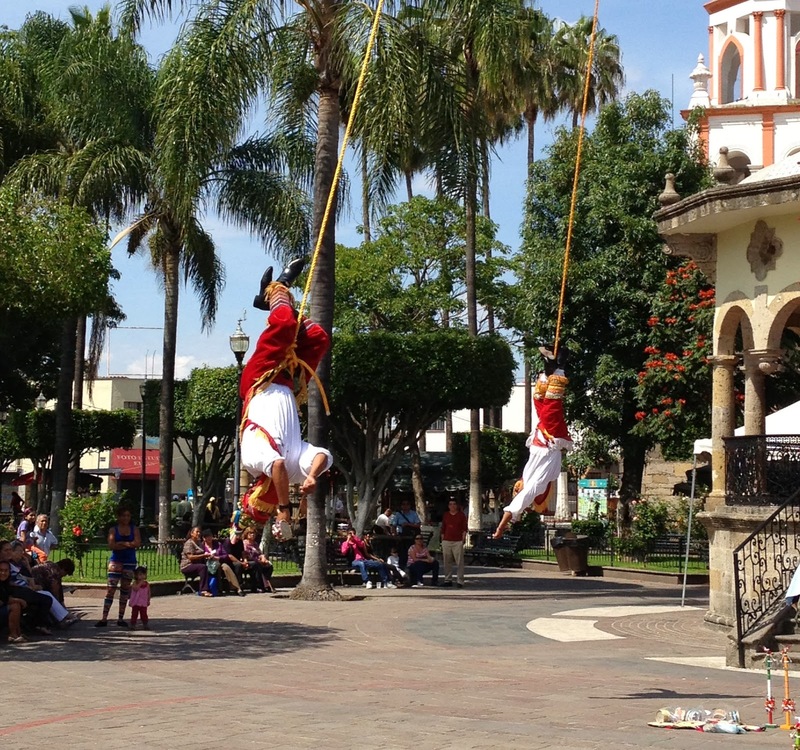 In the main square, we chanced upon a ceremony called the Danza de los Voladores. 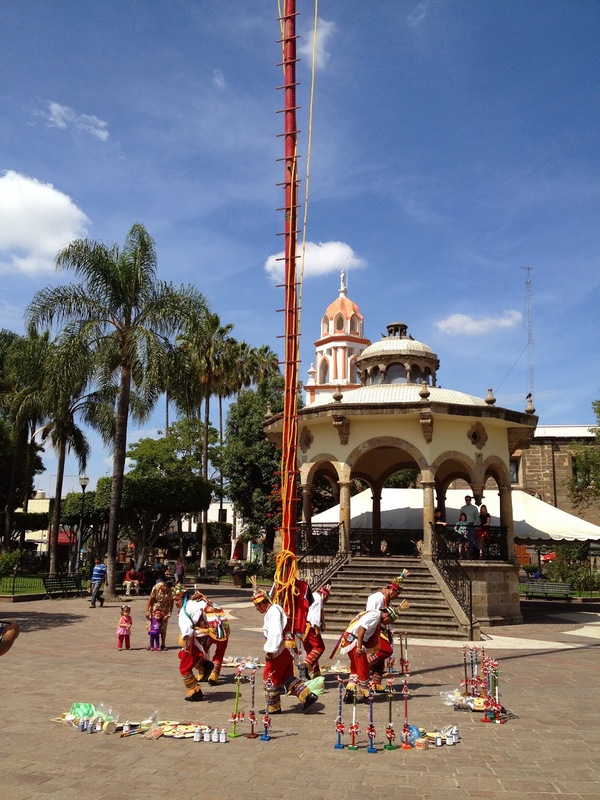 This Mesoamerican ritual involves a dance and a climb up a 100-foot pole, where the participants, after having tied themselves with ropes around their feet and waist, launch themselves from the pole in a circular motion, slowly unwinding their way to the ground. This ritual is said to have been created to ask the gods to end severe drought (how do we get these guys to South Texas?). 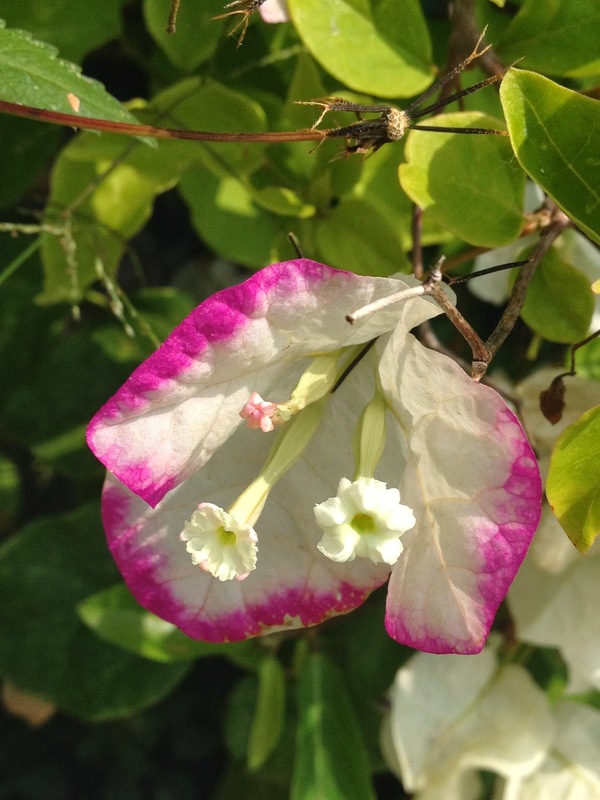 I am always struck by the vivid colors of Mexico, found in everything from the food to the flowering trees and native costumes. 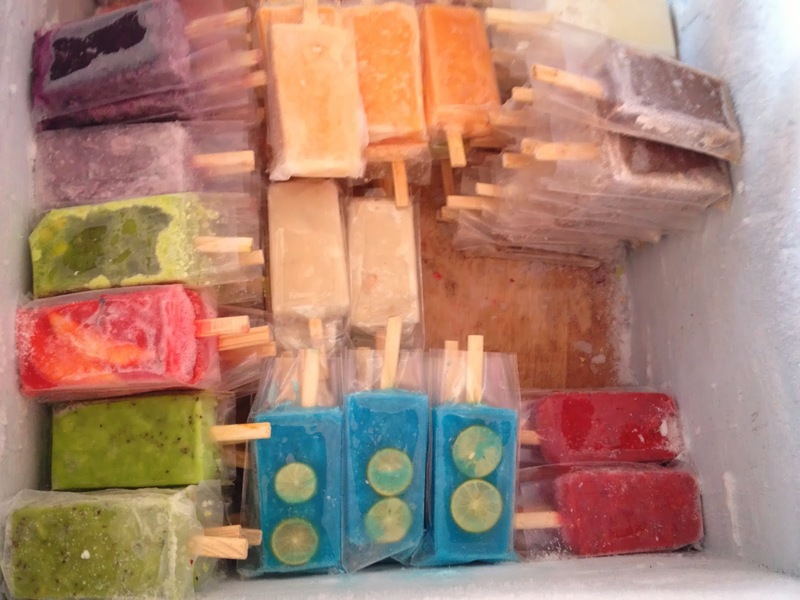 As we head into the post-Veterans Day weekend, I leave you with a few more colorful images from México. I hear you can find it in select stores in the U.S.
spent in the US. On the west coast, at Pomona College you will find Prometheus. On the East Coast, at Dartmouth College, you can find The Epic of American Civilization, as well as A Call to Revolution and Table of Universal Brotherhood at the New School for Social Research and Dive Bomber and Tank at the Museum of Modern Art in New York City.